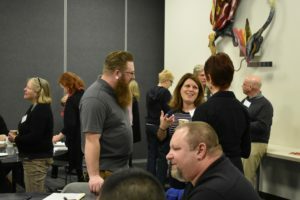 On Thursdays, May 31 – June 21, the Thurston Economic Development Council Center for Business & Innovation (EDC/CB&I) will present “Business TuneUp.” The four session course is aimed at business owners who are looking to improve their profitability. 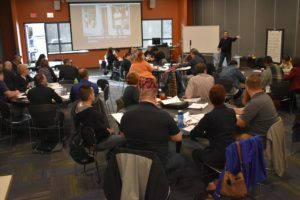 Benjamin says the TuneUp series can help business owners because it tightens the nuts and bolts of the business by helping owners and managers identify what is working to make them profitable and what is not. Then, business owners can maximize their time by focusing on what matters most. They find that they are able to get their business running in peak condition so they can step out when they need to, maintain reasonable work hours, and take vacations without the worry that their business will fall apart without them. TuneUp is one three courses in the Business ScaleUp Series. The series brings together business owners from throughout the community, offering time for interaction and shared learning. There is also an opportunity for one-on-one business advising. Participants come away with a blueprint for success after taking the time to step back to look at all the working parts of their business. TuneUp runs on four Thursday morning, May 31 through June 21 from 8:30 a.m. – 12:00 p.m. All classes will be held at the Thurston EDC Center for Business & Innovation located at 4220 6th Ave SE in Lacey. The cost for the four session course is $395, but the Cities of Olympia and Lacey pay for businesses in their cities to register at no cost. Additionally, business owners that have participated in other courses within the ScaleUp series are eligible for hefty discounts. For more information, email Ryan Norskog, rnorksog@thurstonedc.com, at the Thurston EDC or call him at 360-464-6060 to register.